With just 12 pieces to go around, this is a timepiece for the truly entitled (that’s not me). An absolutely stunning masterpiece, like all Urwerk timepieces. If only I had the money…. With its orbiting satellites and arrow-shaped time-indicating torpedoes, the UR-110 ZrN Torpedo is a truly stellar timepiece. Its radiance has been maximized thanks to a coating of Zirconium Nitride on the bezel, which provides the distinctive pale gold hue that gives rise to the “Champagne Supernova” nickname. 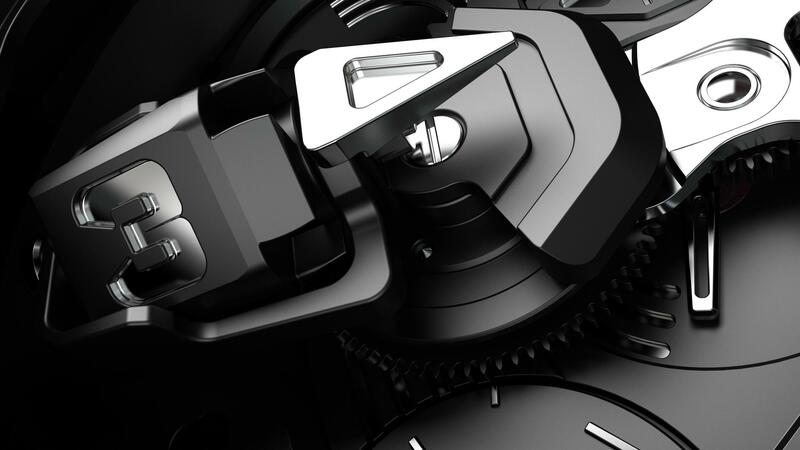 Zirconium Nitride is a high-performance ceramic machine tool coating, commonly used for industrial parts and aerospace components. While only a few microns thick, it is extremely hard (2,000 Vickers) and provides superb scratch, wear and corrosion resistance, while exhibiting excellent lubricity and ductility. 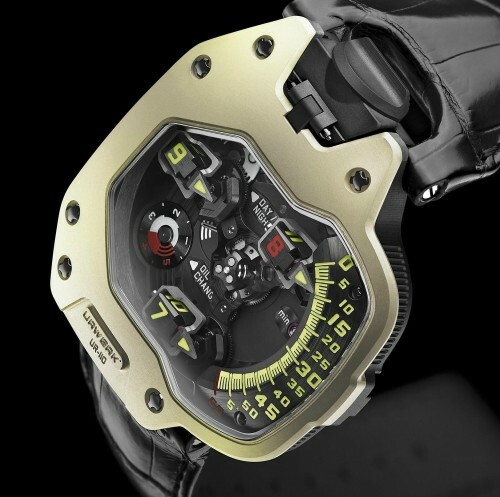 The UR-110 ZrN Torpedo is an Édition Spéciale of just 12 pieces, each distinguished by a red satellite hour numeral. Available exclusively from Chronopassion (Paris), Marcus (London), The Hour Glass (Singapore) and Westime (Los Angeles). *Please note that ZrN (Zirconium Nitride) is an industrial treatment that can result in variations in and the colour/hue on the bezel and between individual models.